The Pyloric Sphincter is a very important part of the human body that monitors the digestive process and maintains overall health. Read and know all about this organ, its functions, problems and treatment. It refers to the sphincter muscle of the pylorus that separates the duodenum and the stomach. The Sphincter muscle is a circular mucous membrane fold that contains a ring of smooth muscular fibers. The muscle fibers surround the orifice of the stomach into the Duodenum or the portion of the small intestine that lies between the jejunum and the stomach. It is situated at the end of the pyloric canal. This canal connects the stomach to the duodenum and is anteceded by the Pyloric Atrum which is associated with the stomach. This muscle is often affected by a condition known as Pyloric Stenosis. In case of diseases like Stomach Cancer, the pyloric canal may be partly obstructed by tumors. This may lead to a thickening of the sphincter. A special type of tube, known as a “Pyloric Stent”, is surgically implanted in such cases to attach and allow easy passage of foods from the stomach to the duodenum. Hereditary factors can also play a vital role in the development of this condition. For patients suffering from pyloric sphincter problems, doctors may recommend dietary changes and lifestyle modifications to reduce complications related with the disorder. Pyloric Sphincter dysfunctions also include a condition that is known as Pyloric Stenosis. The Pyloric Sphincter canal gets narrowed due to this condition thus limiting the quantity of semi-solid digested food that may pass through it. It can also open to an insufficient degree or open even when not needed thus disrupting the digestive process of a person. Conditions affecting the pyloric sphincter can be detected with the aid of medical imaging examinations that include an Endoscopy. This process involves insertion of a camera into the body which provides a view of the activities taking place inside. In infants, problems in the Pylorus muscles may give rise to acute, progressive vomiting. It may also lead to weight gain. Individuals suffering from an incompetent Pyloric Sphincter need to visit a medical specialist as soon as possible and discuss options for treatment. Treatment usually varies depending on the cause of the condition and the health of the suffering person. Surgery can also be used as a treatment option for curing Stenosis or removing cancerous lumps. Conditions that involve the Gastrointestinal Tract can develop into acute complications. This is the reason why they require immediate medical treatment. Even a small health issue associated with the Gastrointestinal Tract can result in a number of medical problems. The muscular ring known as the Pyloric Sphincter has the ability to contract and relax. It thus allows food particles to pass to the duodenum from the stomach. The sympathetic nervous system manipulates the function of the pyloric sphincter. However, it is specially the Celiac Ganglion that monitors the motion of the pyloric sphincter muscles. Apart from regulating digestion, the organ also helps prevent backflow of foods into the stomach from the intestines. Regurgitation is unhealthy as it can interrupt stomach activity and can also lead to sickness in someone. A healthy pyloric sphincter acts as a one-way channel that helps keep the digestive tract contents moving along in only a single direction. 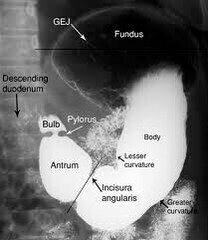 When the Pyrolic valve opens, gastric secretions as well a thick mass of partly digested food (chyme) passed from the stomach enters the duodenum located in the small intestine. It refers to a spasm or involuntary and painful contraction of Pyloric Sphincter muscles. This is experienced as a tight and painful sensation in the stomach. The Pyloric Sphincter valve gets inflamed and obstructs the smooth passage of food particles. This gives rise to painful symptoms as food passes through swollen valve while eating. It feels as if someone has punched your upper stomach. This is usually cured with the aid of strong muscle relaxants and gentle massage. Massaging can cause much pain in the region. It is thus necessary to lightly massage the area to avoid hurting the tender Sphincter muscles. If you are suffering from pain the sphincter muscles, you may try massaging the stomach to ease spasm. This can be done in the following ways. Lie down on your stomach. Stretch the arm on the same side where you have pain across the chest. Ask a family member to lightly massage the muscle lying between your spine and the shoulder blade. Cross your arm beneath your chest. This will help reach this muscle better as it is usually hidden partly by the shoulder blade. 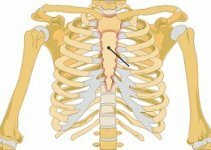 This can effectively provide relief from the spasm that patients normally experience below the ribs. Even after the spasm resolves, the affected muscles remain tender for one or two days. This condition is highly sensitive. Like many other stomach-related disorders, it becomes worse with spices, alcohol and acidic and fatty foods. Even sour food items such as tomato can aggravate this condition. Anxiety and stress may also increase its intensity. I have GIST. The tumor, if removed, since it is attached to the pyloric valve, will require the removal of the valve. It is only 5cm, and has not grown in two years since discovery. M D Anderson Hosp has agreed to manage it by regular CT scans, and remove it only if it grows. I would like to have more information about lifestyle w/o the valve? My 10 years daughter suffered of pylorus valve problems. Her pylorus valve remains open it is caused all liquid form food back up from her intestine to stomach. Specially bile. Vomiting constantly. Now Dr inserted j tube direct to her intestine but her feed still coming back to her stomach. There is any treatments to closing pylorus valve? Please help. Thank you.